New Mojito is a Royal desert-themed Side ruled by King Ford Charcoal. His current Chief Warlord is Princess Salsa. The Side is an oddity in that the dominant sentient species is not Men, but Dwagonmen, who are popped with unusual Signamancy (and specials) compared to most Erfworlders. There's a distinct fondness for 'Stuff' that pervades the Side's zeitgeist. New Mojitans are frequently encountered far afield as merchants, in groups called "Care Vans." New Mojito is far, -far- to the south of Carpool, along the very southern edge of the Erf. The entire Side is nothing but desert, with the occasional city, oasis, or cluster of small mountains. The city of Fanta Se sits at its northern edge, the only part of New Mojito that borders a large body of water, and serves as the Side's main Port. The south edge of New Mojito is comprised of special hexes that New Mojitans refer to as 'Titan's Drift'; they are utterly impassable by any known magic or means, and all that can be seen in or beyond them (even with Lookamancy) is an endless, violent sandstorm of chaos. This storm is assumed to be Titanic in nature. 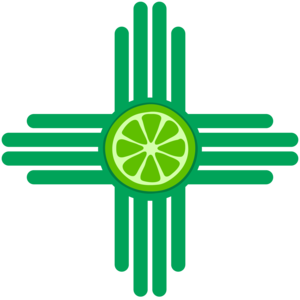 The capital city of New Mojito is Barbequerque. It's a visually impressive Level 5 built into the cliff faces of Sillycorn Valley, and is only accessible by air. Las Churro -- Level 4, a celebrated city in New Mojito that specializes in the fabrication of unusual food and drink. Roastwell -- Level 4, dangerous/strange items and Units are kept under guard here. Quad Point -- Level 1, legendary ruins where Promotion ceremonies are traditionally held. Fate magic behaves oddly, here. Despite being a Royal side (and the King being fairly prolific when it comes to popping Princes/Princesses), New Mojitans have utterly rejected the philosophy of a 'Titanic Mandate to Rule'; they are an extremely pragmatic, almost gamist (self-aware) Side, and care only about Royalty for the stat boosts. Because the Side is so easy to defend (given the brutal nature of the dominant terrain type), the people of New Mojito are outgoing and adventurous, being found both as mercenary groups and as the aforementioned merchant Care Vans. In particular, the Care Vans are known for supplying exotic/magical food and drink as ration supplements, as well as a variety of equipment (both magical and non-magical) to any Side willing to part with some Shmuckers (or, preferably, Gems). The architecture of cities here seems to be an unusual blend of North African and Indian; they would leave a Stupidworlder with a strong impression that they were 'cities of magic'. Dwagonmen themselves dress in loose robes or otherwise minimal raiment, and the vast majority of them go barefoot (though they do love to wear gold and Gems as accessories). One of the most immediate oddities of the Side of New Mojito, at least in the eyes of a tactician, is a complete lack of infantry Units. In fact, all the Dwagonmen popped here are at minimum knight-class commander Units. This results in the closest thing Erfworld has to an egalitarian society, and it also has one of Erf's lowest population densities. However, that doesn't mean New Mojito is devoid of life, far from it. One of the main reasons New Mojito doesn't bother with infantry-style fighting are the omnipresent storms of 'Sapsand' that whip through the region. A hex that's currently experiencing a Sapsand storm immediately negates all combat bonuses for anyone inside, beyond base stats: stack bonuses, leadership, dance fighting, etc., are all rendered useless. This means that, in order to fight effectively out in the desert, individual strength must be given primary concern...and the desert fauna here are, to a one, statistically powerful Units. The Dwagonmen have extensively tamed and trained these creatures, and every last one of them also has enhanced base stats (possibly due to species). This makes fighting New Mojitans on their home terrain a strategic nightmare, and is the main reason the Side is so stable despite a general lack of military conquest. However, on the flipside, Dwagonmen aren't used to fighting in stacks, and coordinating with Units besides other Dwagonmen can be a disconcerting experience for them. Once they've learned, they can become terrifying Commanders, and are popular hires as mercenaries by more distant Sides, occasionally even as temporary Chief Warlord replacements. The primary motivation of New Mojito's ruler and people is to produce and acquire 'Stuff'. Dwagonmen are very materialistic (harkening to real-world references of dragons in fiction) and love consumerism. Above all else, however, Dwagonmen have a deep-seated need to collect Gems. It is rumored that the otherwise inhospitable realm of New Mojito is saturated with Gems secreted away by the Dwagonmen in the turbulent dunes of the desert, buried deep in crypts and other such structures. New Mojito's neighbors (and many others) are aware of this, and it's quite a draw from a conquest standpoint, but there hasn't been a collective effort to attack New Mojito due to just how difficult it would be to even survive there, much less deal with the attacking Dwagonmen. There are two Sides that border New Mojito; Panhandle is to the east, and Airzone is to the west. Both of these sides are also Royal, but they -do- cleave to the Titanic mandate, putting them both at odds with the Dwagonmen's lackadaisical view on the subject. New Mojito is thankfully more than strong enough as a Side to discourage King George or Queen Earheart from actually attempting a full-scale War; not only are the climate and terrain of New Mojito disfavorable to normal Men, but Airzone and Panhandle get along with each other even less than either of them do with New Mojito, for various reasons (mostly political). Thus, the side of New Mojito is basically regarded as a 'buffer' zone, and is generally left unmolested by its neighbors. If trouble were to start, however, the Panhandlers (who frequently trade Gems for the items New Mojito produces) are more cordial to the Dwagonmen then Airzone is by a league. Loco Phusion - Chief Thinkamancer, Overmind (mastery of all three Eyemancy disciplines). He does not think alike. Val Caldera - Dirtamancer, manages water distribution and the generation of Sapsand storms. Ghost Ranch - Croakamancer, heavily involved with training beasts, as many desert fauna are classified as Uncroaked. Anna Chicle - Moneymancer, responsible for managing the Side's Gems. Wily Peyote - Florist, the main mastermind behind New Mojito's booming food/drink trade. Manages the Care Vans. special, and are said to sparkle in the sunlight. The side's an obvious reference to the state of New Mexico, much as Panhandle is a reference to Oklahoma/Texas and Airzone is a wordplay on Arizona. Their relative location on the southwest edge of Erf is likewise a reference to 'the Southwest'. Many places and creatures there reference various types of southwestern cuisine. This page was last edited on 26 December 2014, at 06:58.